September 8, 2013 by P.T. 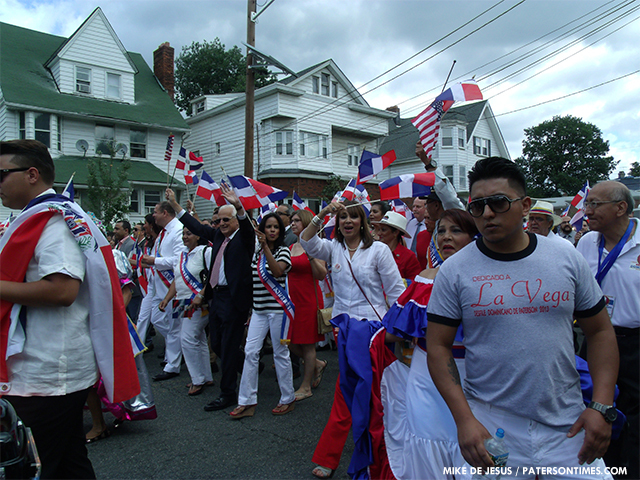 Thousands of Dominican-Americans flooded the sidewalks of Park Avenue on Sunday afternoon to observe the 2013 annual Dominican Day Parade. 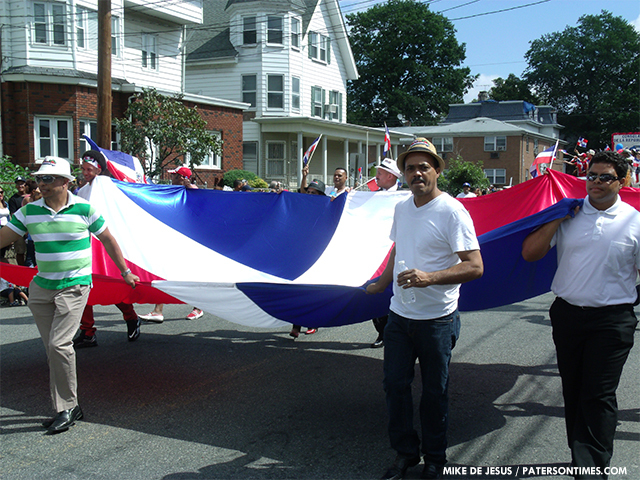 “This show cases the culture of Dominican Republic,” said Rafael Almonte, a coordinator of the parade, through a translator. Every year for the past three decades the parade marched through Park Avenue drawing large crowds from near and far. The crowds were so large this year that many of them, after filling up the sidewalks, spilled onto the street, forcing police motorcades to patrol back and forth to keep the crowd out of the path of floats. Dozens of floats rolled down the street with deafening music blasting from each cart, making it impossible to interview the watchers. “This year there’s 33 floats,” said Almonte. 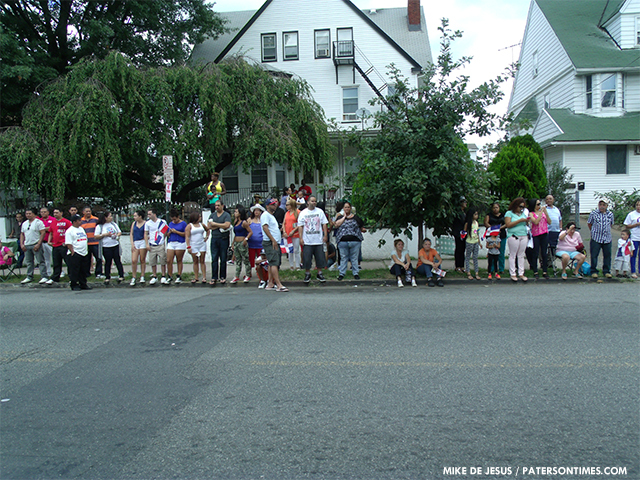 Many of the floats were put into the parade by local businesses like the Tropical Juice Bar of West Broadway and Carlito’s Bar of Main Street; however, there were many that made their way from out of town including one that bore a massive picture of Alex Blanco, the mayor of Passaic, which presumably came to Paterson from the aforementioned city. “This year is different from other years because there are more floats and more people,” said Almonte. “There are people representing different countries this year.” Indeed, there were floats featuring flags of Peru and Puerto Rico that made their way through the procession. This year also included a potbellied man, who identified himself only as Antonio, dancing to the loud Dominican music, exposing his belly while doing so, as the crowd laughed and cheered him on. 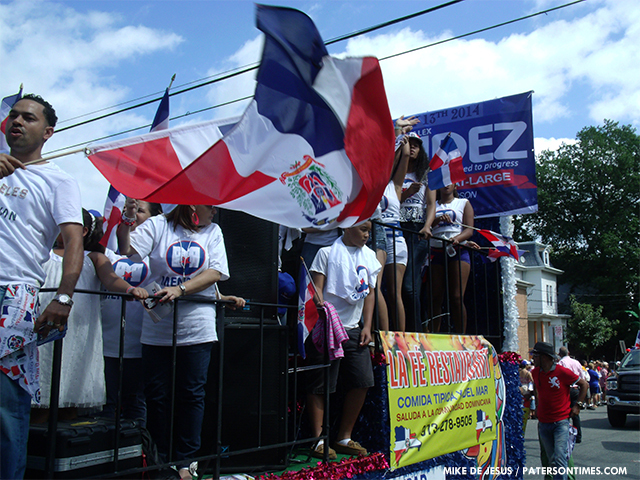 The parade is being held in the city so that “the children that are born here from Santo Domingo know their culture,” said Almonte. There were hundreds of children spectators in the parade, many took pictures with various costumed characters – many others took part in the parade. 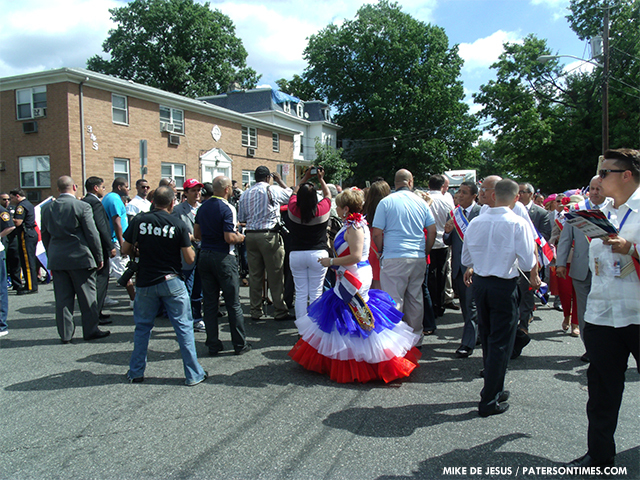 “It’s a wonderful day to celebrate anyone’s heritage; the Dominican heritage is a proud one; the people are proud people, and I am happy to celebrate their day with them,” said Pat Lepore, a county freeholder, who is up for re-election this November. Politicians running for election also attended the event, including the Republican candidate for the United States senate, Steve Lonegan. “I’m delighted to participate in this parade. It’s actually one of my favorite events in the entire year,” said Andre Sayegh, the 6th Ward councilman and council president. 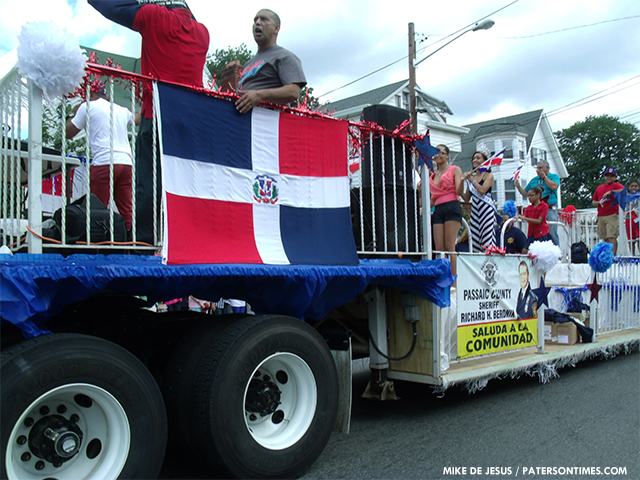 Dominican Parade has always been Paterson's best. Always well organized. Representative of the culture. Nice crowds. GREAT girls. Ad they usually have food at the festival afterwards.